lake of shining waters: SECOND POST OF THE DAY AND I WANT OPINIONS!! SECOND POST OF THE DAY AND I WANT OPINIONS!! Okay, I'm posting these photos, asking your advice......ignore the walls, if you will, they will be re-done over the next year. We live in a large mobile home (with a full basement) and when I designed the walls/colour scheme I wasn't thinking ahead....we are going to paint over this vinyl wallpaper stuff...as soon as we figure out a good way to do it!.....My question to you all is...I want some "prim" window treatments...I can sew them, I just want opinions on what would look good. My kitchen main colour will still be blue....and in the hallway....probably also blue......what would you do with these windows????? Okay, this is a white curtain, on a white door, with white vinyl wallpaper....can we say TOO MUCH WHITE!! When we paint this hallway, it will be a beige colour probably, but I want some exciting window topper...I was thinking homespun?? Tell me...what would YOU do for a window covering?? This is the big window in our kitchen. These walls will probably have a blue tone to them of some kind...not sure...but blue is my colour in the kitchen....what would you do with this window? These curtains do not fit correctly and I'm just plain sick of them. Do I just do a topper? Do I ditch the mini blind? Do I do a topper and a bottom, or what?? This window is my biggest challenge...so any help would be GREATLY appreciated!! 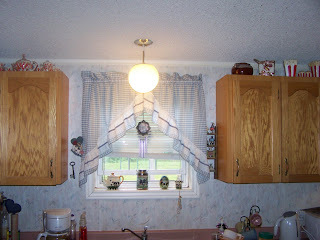 This is the other window in our kitchen...what would you do here? Again..it's has to be blue of some kind. This is our back door, just off the kitchen, so it would have to kind of match the kitchen. The curtains are on the top and midway down....the glass goes from top to bottom. I might also add that I do like the sun shining in here, so I don't want one long window covering on this door. you can paint over the vinyl wall junk. use a primer first..... mine is burgundy but i am hoping to change agin soon. I have always used cheapy Wal-Mart paint. And I have always used at least a satin or semi-gloss. I was used to being able to scrub the walls and I wanted to still be able to do that. I have heard of others using flat, and I tried it once in the laundry, and it doesn't seem to stick. 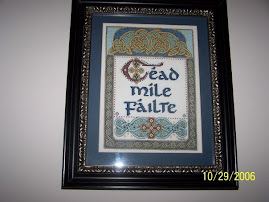 Homespun is usually the way I go. 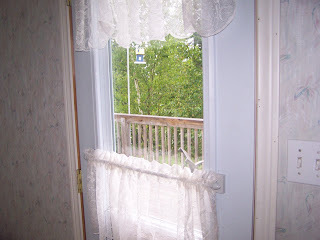 It's inexpensive and valances are easy to make. If you like the fancy cuts of the curtains you have, then use them for patterns. The blinds...I have went through all phases with those. I loved them, hated them and now have a few in places around the house. 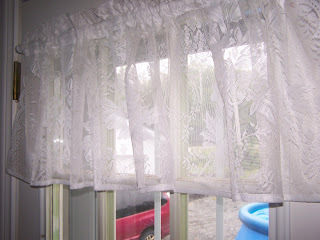 My kitchen windows are valances and cafe tiers (I can shut them for some privacy). The living room is a valance over panels and we have Roman shades to pull at night. The front door has tab top panels (actually they're tiers but just the right size). The back door has a valance, panels and a mini blind. My room is a valance, tiers and faux wood blinds. It's whatever you want. Whatever you like! 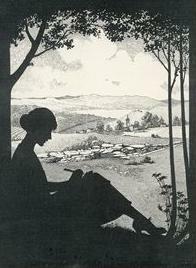 Homespun would be so sweet, Marion. I can't wait to see the transformation! With your walls blue, what will your cupboard colors be? 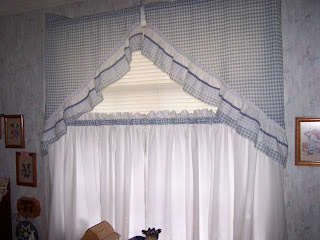 With your smaller windows, I would go with a blue and white homespun pattern for valances. I'm not sure I would add a bottom curtain to it if you have blinds already. You could just close the blinds when you want more privacy. I would probably go with either a white or mostly white pattern for the larger windows if the walls will be blue. White will break up the blue. Your porch door, will it be white? My kitchen has blueberry cupboard doors and drawers, white walls with the one window having a white and blue homespun check pattern for a valance. The baseboards along the floor and the chair rails (midway on the walls) are all the same blueberry color as the cupboards etc. IS IT NEXT WEDNESDAY YET??? ANOTHER FRAME, CUTENESS AND GOOD THOUGHTS? WHAT I DID TODAY, AND WHAT WE DID TONIGHT..